If Dominik Hasek does satisfy his desire to return to the NHL, it won't be with the Buffalo Sabres. General manager Darcy Regier told the Buffalo News on Thursday that the 47-year-old goalie had contacted his former team, but it will pass on pursuing him. "One thing I am sure of: He has no doubt in his mind that he can play," Regier said. "I think it probably gives him a little bit of lift seeing somebody like (Martin) Brodeur play at 40 in the Stanley Cup Final. I know better than to question Dom's desire and his ability. Unfortunately, it's not something that was going to fit here." Hasek reportedly is pursuing a return to the League and could be seeking a multiyear contract. 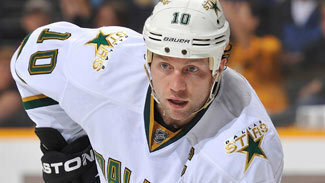 His meetings with the Sabres took place about a month ago and included coach Lindy Ruff, Regier said. He last played in the NHL in 2008 for the Detroit Red Wings and most recently played for Spartak Moscow in the KHL in 2010-11. In May, when Hasek's intention to return became known, New Jersey Devils goalie Johan Hedberg told USA Today he would not be surprised. "With Dominik Hasek, you can't count anything out," Hedberg said then. "He didn't play last year, but he had (seven) shutouts in the (KHL) when he was 45." After playing 25 games for the Chicago Blackhawks from 1990-92, Hasek played the next nine seasons of his NHL career with the Sabres. In his final NHL season, Hasek at age 43 played 41 games for the Red Wings. He was 27-10-3 with a 2.14 goals-against average and .902 save percentage. In 735 NHL games, he was 389-223-95 with a 2.20 GAA and .922 save percentage. He won the Vezina Trophy six times, was a two-time Hart Trophy winner, and backstopped the Red Wings to the 2001-02 Stanley Cup. Ryan Miller, 32 years old next Tuesday, is the Sabres No. 1 goalie heading into the 2012-13 season. His backup likely will be 24-year-old Jhonas Enroth.